I have been invited to speak about our home by Co-op Power at the Yarde Tavern in South Hadley on May 6th from 6-8 PM. The event is open to the public and we will discuss how to build a super energy efficient home on an average budget. The presentation will be followed by an open discussion and Q&A session. Space is limited to 50 guests. Read more about this event and RSVP by April 30th at www.tinyurl.com/greendinner or by contacting Shavon Prophet at shavon@cooppower.coop or 413-349-4086. For those that don’t know Co-op Power is a unique and incredible organization that is dedicated to fostering the growth of locally owned sustainable energy resources. I feel a deep connection to Co-op power because it is in fact how I first started learning about solar hot water, renewable energy, and energy efficiency. We are lucky to have Co-op Power here in the Pioneer Valley. 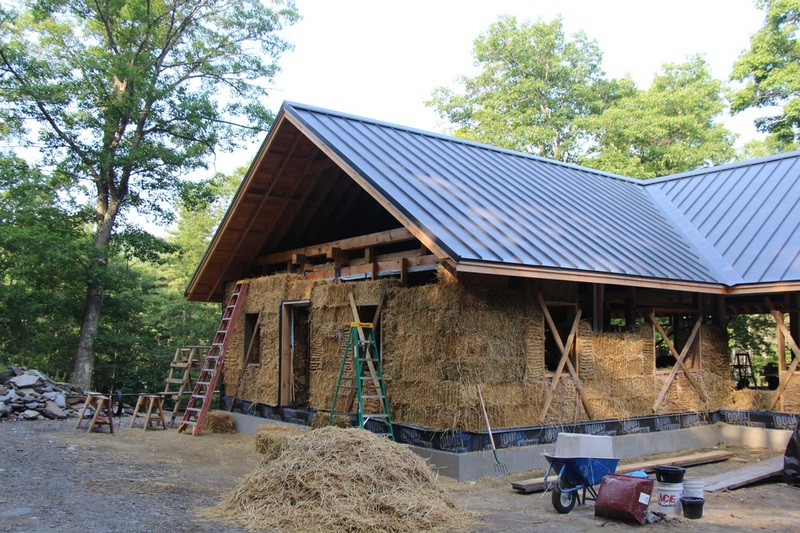 Friends of ours in Brattleboro Vermont are building a strawbale timberframe home for themselves. Early on in our design process for our own home we considered such a building, but decided it wasn’t right for us at that time. Chad Mathrani has got us thinking about it again and shows us how to integrate modern building science with natural building traditional techniques. The result: a meticulously designed and crafted home that will be standing for hundreds of years. 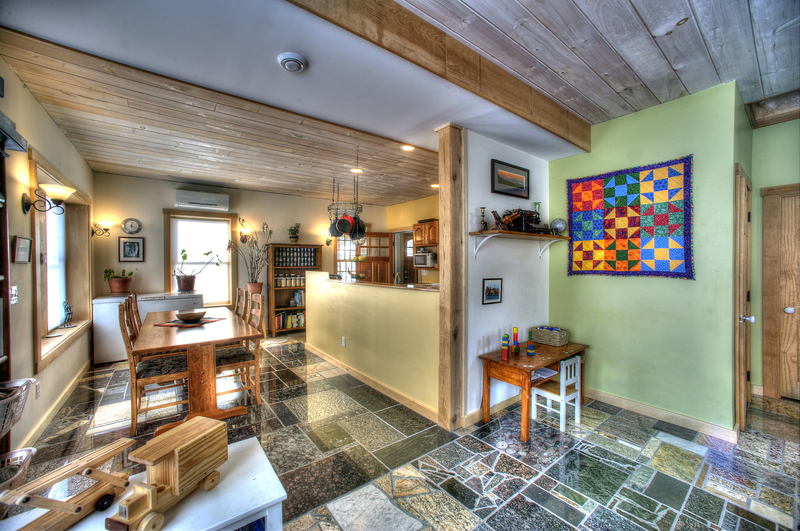 If you are looking to build or learn about building we recommend checking out Chad’s business: Vermont Natural Homes. Also, 475 High Performance Building Supply put together a great interview with Chad. Vermont Natural Homes’ Current Project: A strawbale timberframe home. Photo courtesy of Vermont Natural Homes. We recently had our friend Beth Reynolds from Base Camp Photo over to shoot pictures of the interior. Check out her pictures on our Photographs page. In preparation for our presentation at Building Energy 15 I redrew the floor plans and wall detail diagrams so they are more user-friendly. Full CAD plans also available on our Architectural Plans Page. Click on images for larger versions. First floor plan. 9′ Ceilings throughout. Second floor plan. The bedroom at left has a ceiling height of about 7′-2″. The bedroom at right has a cathedral ceiling and a loft accessible from the the third floor room. The bathroom, hall, and closet are all cathedral ceiling. The third floor office space is tucked into the peak of the roof. 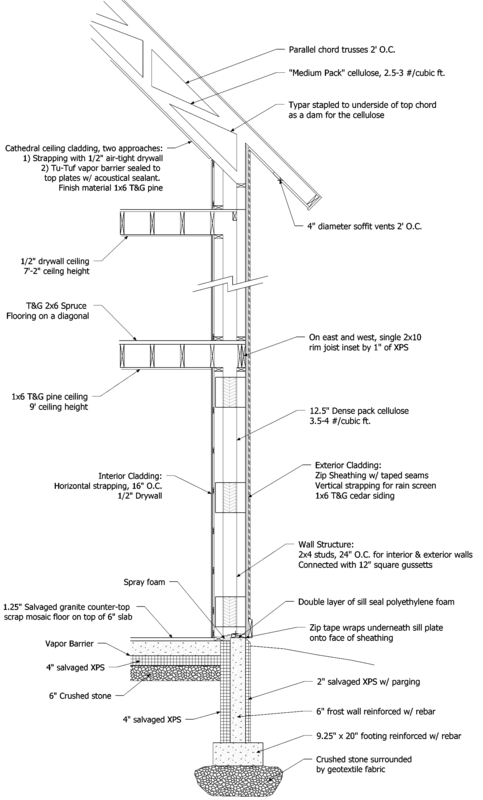 Its north knee wall is about 4′ and its south is about 16″. The height peaks at about 7′ just above the center of the stairs. 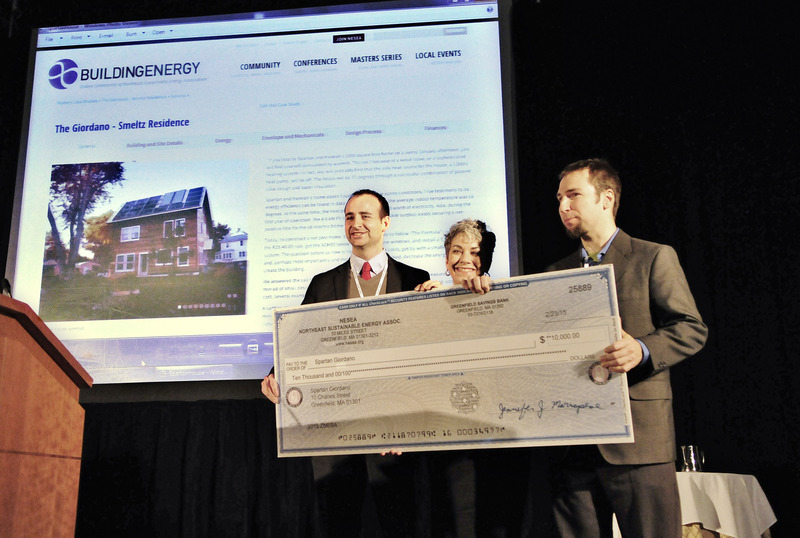 Incredible News: We are the recipient of the 2015 Zero Net Energy Building award from NESEA! There is an article about us in today’s Greenfield Recorder and Hampshire Gazette: http://www.gazettenet.com. A huge thank you to everyone who helped with this project especially Adam Heintz, Scott Baum, Peter Talmage, Hannah Smeltz, my parents, Thom Burden, John Scanlon, and Whip Withington. I will be in Boston for most of this week at the NESEA- Northeast Sustainable Energy Association Building Energy Conference where I will be honored to present on our house. I can vouch for both the TCP bulbs and the Philips. I have some of both in my house and they produce lots of nice warm light.